Yes. Olive Oil Cake. There isn’t a lick of butter in this cake, and it’ll still be your new favorite. It’s super simple to make – you don’t even need your electric mixer…(but, I use mine because it’s still newish from the wedding and I like excuses to use it! ), you really only need a whisk and two bowls. Easy peasy. We’re so happy to finally post this recipe. It originally came from Nick Malgieri’s Modern Baker, which is a cookbook we use A LOT. 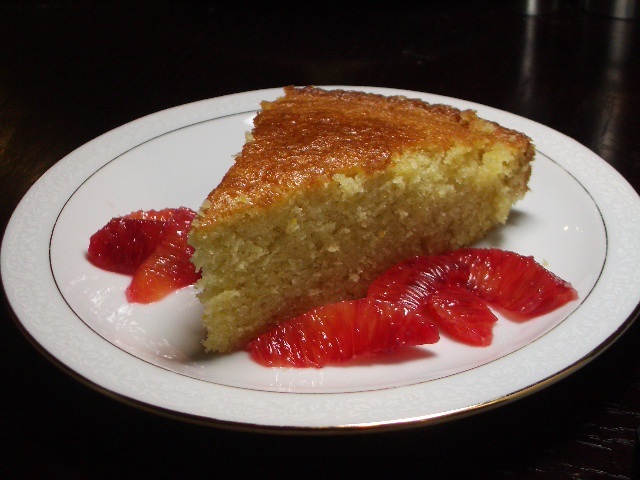 We substituted regular navel oranges with blood oranges for a fun twist, but you can certainly use regular oranges.